With the UK’s largest exhibition of the influential fashion photographer, Guy Bourdin coming to Somerset House this November, we pick out our favourite photos from his radical and innovative work. 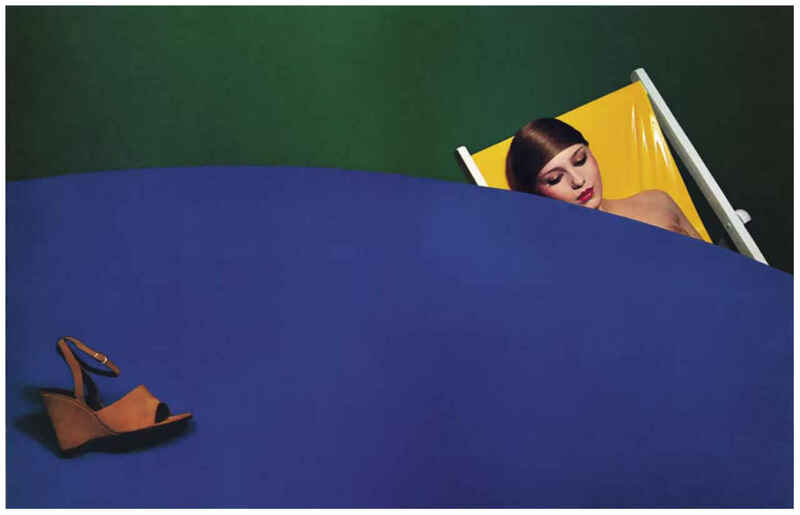 Regarded as one of the most groundbreaking fashion photographers of our time, Guy Bourdin has challenged the aesthetic conventions of previous image making, revolutionising the way we view fashion photography today and inspiring both photographers and fashion designers. Highly stylised and distinctive themes characterises his work; hyper saturated colour images, dramatic avant-garde composition and provocative poses, with reoccurring themes of lust and seduction. The surrealist approach to his work echoes the influence of his mentor, Man Ray, as well as his focus on contrast, texture, geometry and symmetry. Some of his most iconic photos were shot for French shoe designer Charles Jourdan, whilst Guy Bourdin’s work constantly appeared on the pages of British, French, Italian and American Vogue, defining the visual aesthetic of the 70s and 80s. His cinematic images create a strong, visual narrative, often controversial, drawing the viewers in. 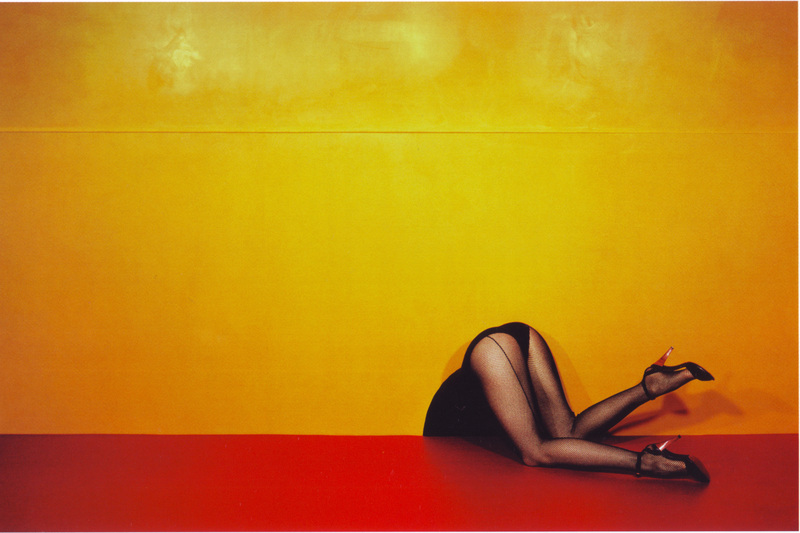 We teeter on the edge of voyeurism as Guy Bourdin continues to inspire generations and push creative boundaries.